Open House, February 6: Please join us! This entry was posted in Global Studies on January 30, 2013 by Michelle. Welcome to Global Studies at CUL! 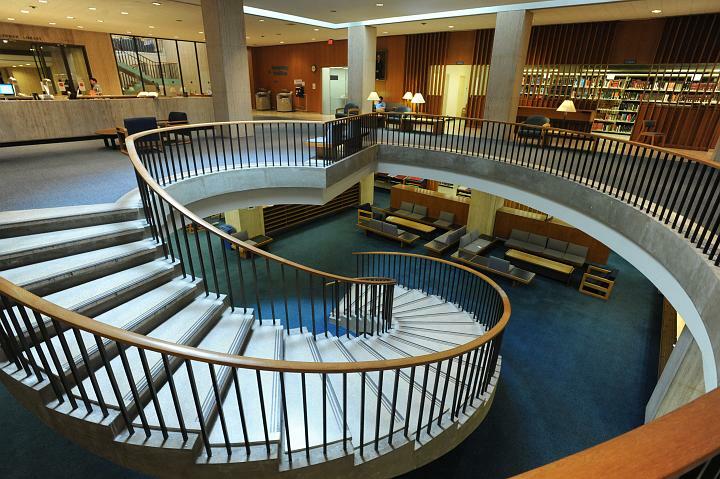 This new blog launches just as the Global Studies division of Columbia University Libraries / Information Services moves back into our newly renovated offices in the Lehman Social Sciences Library. Our blog, space, and name (we were formerly known as Area Studies) may all be new but the work that our division carries out has a long and important history. Our group of seven professional librarians and one bibliographic assistant acquire and curate distinctive collections of print and digital resources that reflect publishing throughout the world. We are here to support and collaborate with students, faculty, and researchers who wish to discover, explore and utilize our remarkable global collections. And our librarians, with extensive language and subject knowledge in their respective world areas and topics, can connect you to libraries, archives and collections beyond Columbia. 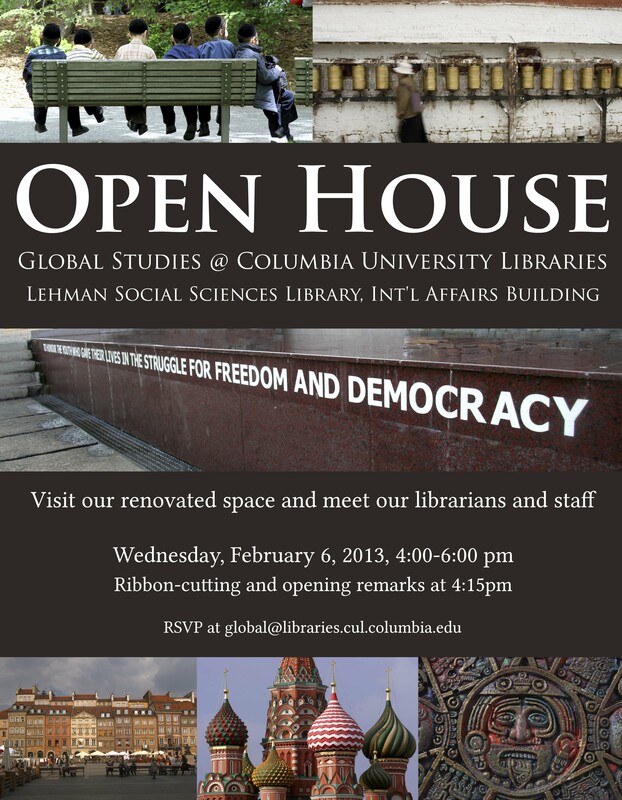 Come visit our renovated space in Lehman at our Open House on Wednesday, February 6th, from 4:00-6:00 PM ! Meet our staff, learn about our work and enjoy refreshments. Please RSVP to global@libraries.cul.columbia.edu. We also invite you to follow our blog to hear about our adventures in global collecting and to learn about new resources, tools, and services. This entry was posted in Global Studies and tagged events on January 29, 2013 by Pamela.